Like the original Harvest of Violence, published in 1988, this volume reveals how the contemporary Mayas contend with crime, political violence, internal community power struggles, and the broader impact of transnational economic and political policies in Guatemala. However, this work, informed by long-term ethnographic fieldwork in Mayan communities and commitment to conducting research in Mayan languages, places current anthropological analyses in relation to Mayan political activism and key Mayan intellectuals’ research and criticism. 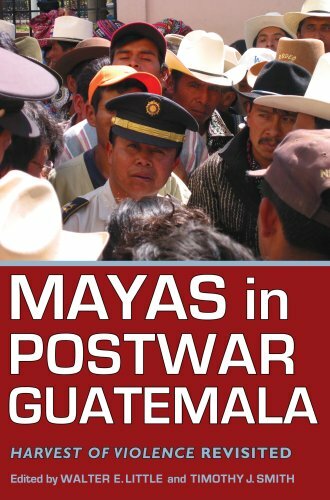 Illustrating specifically how Mayas in this post-war period conceive of their social and political place in Guatemala, Mayas working in factories, fields, and markets, and participating in local, community-level politics provide critiques of the government, the Maya movement, and the general state of insecurity and social and political violence that they continue to face on a daily basis. Their critical assessments and efforts to improve political, social, and economic conditions illustrate their resiliency and positive, nonviolent solutions to Guatemala’s ongoing problems that deserve serious consideration by Guatemalan and US policy makers, international non-government organizations, peace activists, and even academics studying politics, social agency, and the survival of indigenous people. Over the latter half of the twentieth century, the Guatemalan state slaughtered more than two hundred thousand of its citizens. In the wake of this violence, a vibrant pan-Mayan movement has emerged, one that is challenging Ladino (non-indigenous) notions of citizenship and national identity. In The Blood of Guatemala Greg Grandin locates the origins of this ethnic resurgence within the social processes of eighteenth- and nineteenth-century state formation rather than in the ruins of the national project of recent decades. Focusing on Mayan elites in the community of Quetzaltenango, Grandin shows how their efforts to maintain authority over the indigenous population and secure political power in relation to non-Indians played a crucial role in the formation of the Guatemalan nation. To explore the close connection between nationalism, state power, ethnic identity, and political violence, Grandin draws on sources as diverse as photographs, public rituals, oral testimony, literature, and a collection of previously untapped documents written during the nineteenth century. He explains how the cultural anxiety brought about by Guatemala’s transition to coffee capitalism during this period led Mayan patriarchs to develop understandings of race and nation that were contrary to Ladino notions of assimilation and progress. This alternative national vision, however, could not take hold in a country plagued by class and ethnic divisions. In the years prior to the 1954 coup, class conflict became impossible to contain as the elites violently opposed land claims made by indigenous peasants. This “history of power” reconsiders the way scholars understand the history of Guatemala and will be relevant to those studying nation building and indigenous communities across Latin America. 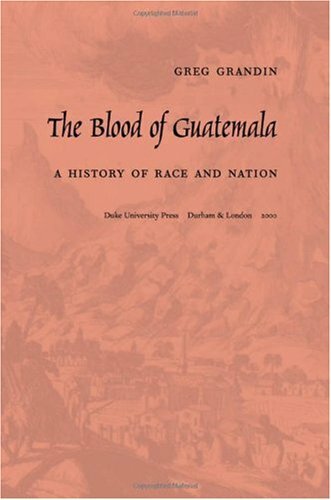 A reworking of Grandin's dissertation, "The Blood of Guatemala" refers to the both the national/ethnic/racial identities that defined Guatemala throughout its history and also the literal blood that flowed during the 30 year civil war in which the most repressive state in the hemisphere slaughtered two hundred thousand of its citizens. The narrative centers on Mayan elites of the town of Quetzaltenango (a place name that will probably give trouble to any English-based spell checking program) in the western highlands of Guatemala. It tells the history of the indigenous people, the Spanish conquerors and the Ladino bourgeoisie through the centuries by highlighting several key events: a demonstration in 1784 against state monopoly of liquor production that gave three Spaniards control of much of the economic life and police power in the area, a demonstration that became a riot that almost turned into an insurrection; the 1837 cholera epidemic, part of the world-wide spread of that disease, and the way it was handled and mishandled by national government; and the rise of coffee capitalism and the creation of an export economy based on plantations in the lowlands. Grandin does an excellent job with a complicated set of subjects that include caste, class and national identity and a changing array of ethnic classifications depending on who was in power (who was doing the classifying and who it benefited) at various times. I appreciated this book for the insights it was able to give me on a city that I will soon visit, but I found the writing style dry and overburdened with unnecessary details. Several times, I fell asleep trying to make it through the reading. Other times, I would lower the book in exasperation and say to myself, "Is this Grandin's dissertation?" The book is very informative, but it is not an accessible read for the layperson. Grandin's research on the Quiche Mayans of Quetzaltennago is exhaustive and well presented.In particular, his central thesis that the Quiches were a social body already divided by the time of the 1954 US-backed coup helps break schismatic thinking regarding the history of the 36 year civil war there that defines the Indians as merely the victims of a violent and complex historical legacy.That said, however, I often found myself asking if the ladinos in the city were similarly divided.Grandin does make some suggestive remarks in this area, but his focus on the Indians of Xela reveals, perhaps, a bias he holds in their favor.Moreover, the book attempts to use the city of Quetzaltenango as a microcosm of the national situation, which for the most part does not follow since the Indians of other highland townships are very different from those of Xela (and even from one another).Finally, I have to mention that Grandin subscribes to currently fashionable theoretical terms (which comes into relief when he talks about the Mayan "body" in his chapter on the cholera epidemic) that may or may not do justice to the social and cultural dynamic he encounters. Overall I would say this is a book worthy of reading despite lacunae in his otherwise critical approach. Though a 1996 peace accord brought a formal end to a conflict that had lasted for thirty-six years, Guatemala's violent past continues to scar its troubled present and seems destined to haunt its uncertain future. 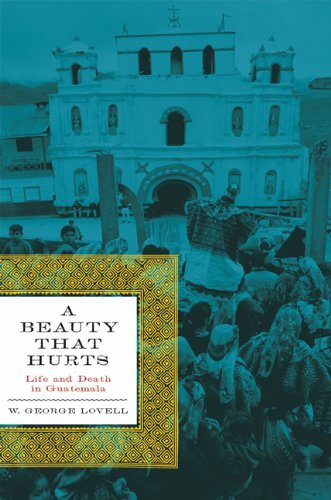 George Lovell brings to this revised and expanded edition of A Beauty That Hurts decades of fieldwork throughout Guatemala, as well as archival research. He locates the roots of conflict in geographies of inequality that arose during colonial times and were exacerbated by the drive to develop Guatemala's resources in the nineteenth and early twentieth centuries. The lines of confrontation were entrenched after a decade of socioeconomic reform between 1944 and 1954 saw modernizing initiatives undone by a military coup backed by U.S. interests and the CIA. A United Nations Truth Commission has established that civil war in Guatemala claimed the lives of more that 200,000 people, the vast majority of them indigenous Mayas. Lovell weaves documentation about what happened to Mayas in particular during the war years with accounts of their difficult personal situations. Meanwhile, an intransigent elite and a powerful military continue to benefit from the inequalities that triggered armed insurrection in the first place. Weak and corrupt civilian governments fail to impose the rule of law, thus ensuring that Guatemala remains an embattled country where postwar violence and drug-related crime undermine any semblance of orderly, peaceful life. Although most discussions of the Guatemalan "revolution" of 1944-54 focus on international and national politics, Revolution in the Countryside presents a more complex and integrated picture of this decade. Jim Handy examines the rural poor, both Maya and Ladino, as key players who had a decisive impact on the nature of change in Guatemala. 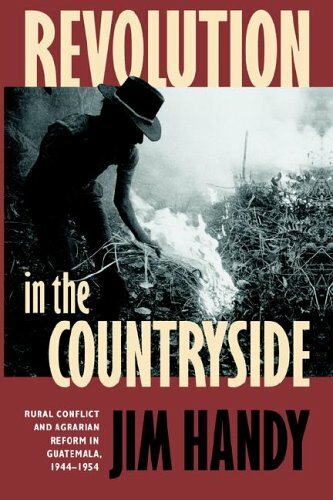 He looks at the ways in which ethnic and class relations affected government policy and identifies the conflict generated in the countryside by new economic and social policies. Many Guatemalans speak of Mayan indigenous organizing as"a finger in the wound." Diane Nelson explores the implications ofthis painfully graphic metaphor in her far-reaching study of the civilwar and its aftermath. Why use a body metaphor? What body is wounded,and how does it react to apparent further torture? If this is thecondition of the body politic, how do human bodies relate to it--thoseliterally wounded in thirty-five years of war and those locked in theequivocal embrace of sexual conquest, domestic labor, mestizaje, andsocial change movements? Supported by three and a half years of fieldwork since 1985, Nelsonaddresses these questions--along with the jokes, ambivalences, andstructures of desire that surround them- -in both concrete andtheoretical terms. 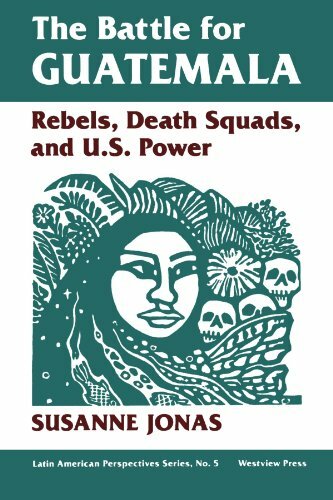 She explores the relations among Mayan culturalrights activists, ladino (nonindigenous) Guatemalans, the state as asite of struggle, and transnational forces including Nobel PeacePrizes, UN Conventions, neo-liberal economics, global TV, and gringoanthropologists. Along with indigenous claims and their effect oncurrent attempts at reconstituting civilian authority after decades ofmilitary rule, Nelson investigates the notion of QuincentennialGuatemala, which has given focus to the overarching question ofMayan--and Guatemalan--identity. Her work draws from politicaleconomy, cultural studies, and psychoanalysis, and has specialrelevance to ongoing discussions of power, hegemony, and theproduction of subject positions, as well as gender issues andhistories of violence as they relate to postcolonial nation-stateformation. 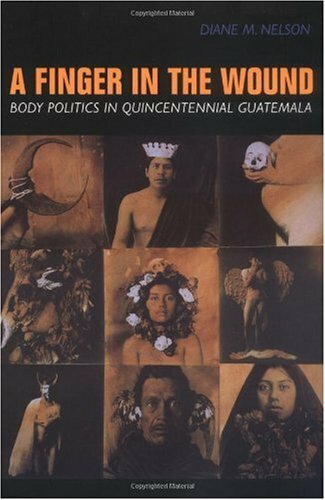 In A Finger in the Wound: Body Politics in Quincentennial Guatemala, anthropologist Diane M. Nelson provides an analysis and ethnography of the Guatemalan State that is not only rich in its theoretical scope and in its empirical breadth, but that also brings to life the challenges of political struggle and everyday politics in Guatemala. 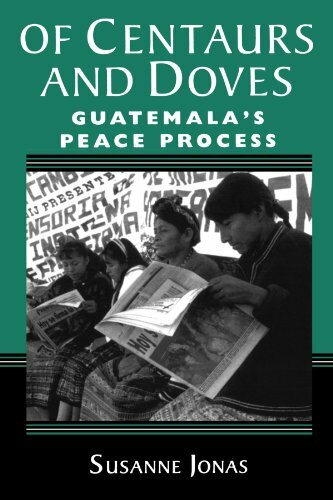 This book contains information about Guatemalan political and government entities and events, such as the Academy of Mayan Languages, the ratification of ILO Convention 169, Guatemalan government actors and ministries, the Maya cultural rights movement, and the effects of the 36-year-long civil war, while simultaneously conveying incisive analysis of both actual actors in these struggles and the manner in which popular imagery, fantasies, fears, and stereotypes play into the struggles for self-representation of people in these different groups. While Nelson takes the Maya cultural rights movement and nation-state identity as her focus, because she focuses on the relations that constitute particular identities rather than on just the identities themselves, she provides an integrative analysis of how different identities-Maya, Ladino, gringo, "the State", "non-State actors", males and females, and others- constitute each other. 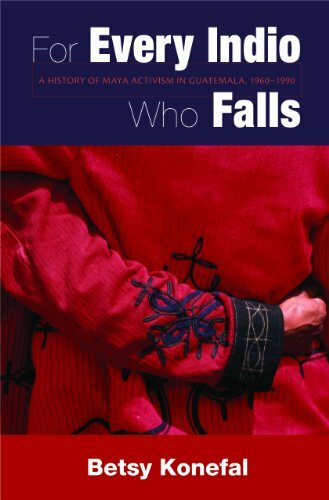 The result is a book that offers insight not just into the Maya cultural rights movement in relation with the Guatemalan state and into the political context in the aftermath of the civil war, but also into how gender identities shape the roles and positions of women and men in relation with ethnic identities and the nationalist ladino discourse of the state. Using jokes, metaphor, and extensive ethnographic accounts from years of fieldwork, Nelson offers an analysis of Guatemala's recent political and social context, and the wider global context, that is both intellectually and politically provocative. She dares to make the connections that raise difficult questions; [i]f the subject of feminism, for example, does not exist as woman but is instead the effect of institutions and practices that produce the category of `woman' (and then never as a fixed identity), then how does one fight women's oppression?" (71). Nelson explores such questions through developing the concept of fluidarity as " a practice of necessarily partial knowledge-in both the sense of taking the side of, and of being incomplete, vulnerable, and never completely fixed (Clifford 1986). This neologism plays with the idea of solidarity in an attempt to keep its vitally important transnational relations open and at the same time question its tendency toward rigidity, its reliance on solid, unchanging identifications, and its often unconscious hierarchizing (42) ". The concept of fluidarity challenges readers to place themselves in relation with Guatemala's political and social context by acknowledging that all identity is mutually constitutive and by making connections with the wider global and transnational context within which Guatemala is located. A Finger in the Wound suggests that it is the inherent instability of identity that makes apparently solid identities possible; "[i]t is precisely at the sites of struggle and of production-the state, the school, and the family-that identifications are both reiterated and appropriated . . . . Fluidarity looks to these spaces and relations, rather than to any solid identity positions, in order to discern and support democratizing work" (70). Fluidarity does not suggest that solid identity positions are not also vital to struggles for democracy, but rather that every solid identity is itself a relation, constituted through multiple identifications with others, and often able to change as these identifications and spaces change. Nelson is careful to point out that every group is heterogeneous and mutually self-constituting with multiple others. She reminds us that while the Maya Movement challenges the binary in which the Guatemalan state leans on indigenous culture in order to define itself as modern, literate, urban, the Maya Movement in turn leans on Mayan women; Mayan men's reluctance to support Mayan women's participation in the Maya cultural rights movement "suggests their dependence on the mujer maya as prosthetic, the need for her to act as a legitimizing link to the land, to the past, and to tradition" (275). Nelson also uses the metaphor of the body and prosthetics to talk about the productiveness of political and social struggles as always articulatory processes of identity production that make the structured relations between people with different historic investments open to transformation as these interactions also transform the people involved in struggle. In her discussion about the relation of struggles over identity with hegemonic attempts to create a national identity in Guatemala she tells the following joke: "[t]he calls for national unity over ethnic difference turn us to Benedict Anderson's `imagined community', with `a deep horizontal comradeship' (Anderson 1983, 16), [and] clear borders with unproblematized state sovereignty,' . . . (40). Perhaps we can imagine this ideal `modern nation' as a piece of clothing meant to cover all its inhabitants. And thus the goal of Guatemala's national project would be to stitch together the various materials-Mayan, ladino, criollo, Garifuna, German, and Chinese-to form a suitable outfit that would clothe and protect the `Guatemalan' as well as fashion (in the sense of define or represent) `Guatemalan-ness.' If the clothes make the man, however, then this ideal nationalism may fit Guatemala like the camel hair suit of the joke: `A man has a camel hair suit made for him but the next day goes back to the tailor and says, `The sleeve's too short.' The tailor replies, `You can't recut a camel hair suit, but just hold your arm like this [over-extended] and no one will notice.' The man goes out with his arm like that, but the next day returns to say the right leg is too long. The tailor tells him to hold his leg like this [bent up] and no one will notice. Well, this goes on until the guy is walking around with his limbs every which way. A couple see him, and the woman exclaims, `Look at the poor deformed man!' And her husband says, `Yeah, but doesn't his camel hair suit fit great!'" (Nelson 1999: 178-179). Nelson uses this joke to comment on the disjuncture between the warm comfort and promise of pleasure offered by an ideal of a national identity that can resolve the deep wounds of centuries of violent colonization, of highly unequal economic relations and of the recent civil war, and the fact that the only way such a "suit" of national identity could fit is through painful contortions that these different wounded subjects are pushed to make to fit such a suit. But, as Nelson suggests throughout the book, the "camel suit of national identity" can itself be thought to consist of the interactions between the different subjects-body parts-of Guatemala's body politic. While nationalist ladino discourse may attempt to pressure the different constituencies and their antagonisms to fit into a national united identity, similar to how the Maya cultural rights movement may pressure Mayan women to fit into a homogenous and united political Mayan identity, instead of these different people-Mayans as well as ladinos, gringos, and others- only getting pressured and constricted by this suit of collective identity, they are also using it in ways that transform the suit; they are not just getting shaped by its attempts to mold them into an uncomfortable fit with the rest of the nation, but are actively shaping "the suit" through using the different spaces and mechanisms opened up in this discourse to fight for self-definition and representation. 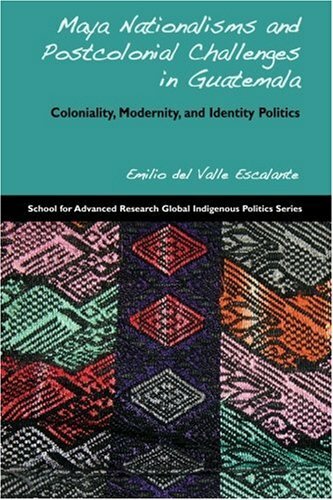 This book is an invaluable tool not just for people who are interested in Guatemala, but also for anyone interested in the subjects of identity politics, nation-state formation, the relations between ethnicity and gender, for political activists who are concerned with the difficult contradictions and challenges of social struggle, and for any student of anthropology. The book is tight, however, it is an overwhelming barage of self-interest and personal agrandizment within the discipline.In contrast to other ethonographies, Fingure is more of a venue ethnography; Nelson uses thebook to further her own persona, beliefs and character in the truepostmodern spirit.Between the brash jokes (although they relflectreality) and impressive vocabulary emerges a theme of ethnographer as"superwoman".This theme made me wonder if Nelson was beingextreme with intent to show me that she could transcend ideological genderboundaries that exist within anthropology. Although Nelson effectivelyprovides deep insight into Guatemala and indigenous affairs there, sheinterjected to much "I" into the work.Those looking for apostmodernist view of Guatemalan idigenous affairs would enjoy this book. Those searching for an objective view should refer to another piece. Professor Garrard-Burnett's book on Guatemalan dictator Brig. 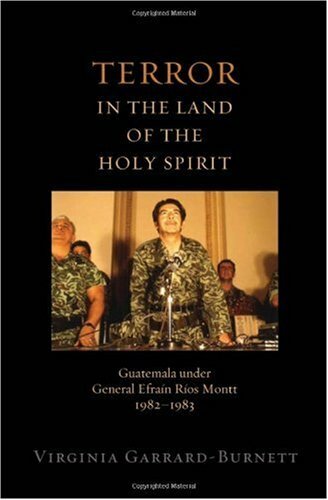 Gen. Efraín Ríos Montt, who ruled Guatemala from 1982-1983, is an essential read for anyone who wishes to understand the chronology and complexities of Guatemala's internal war, which claimed the lives of tens of thousands of Guatemalans.Professor Garrard's account of Ríos Montt's reign of terror explains the synergy between the Protestant church and the military both clearly and thoroughly. Refreshingly, Professor Garrard does not yield to ideological screed or agit-prop; instead she draws on hundreds of examples, both anecdotal and scholarly, to make her point. Between the late 1970s and the late 1980s, Guatemala was torn by mass terror and extreme violence in a genocidal campaign against the Maya, which becameknown as "La Violencia. "More than 600 massacres occurred, one and a half million people were displaced, and more than 200,000 civilians were murdered, most of them Maya. 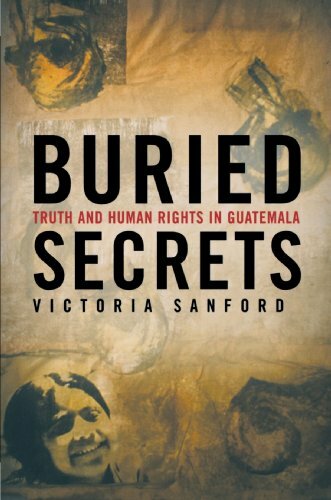 Buried Secrets brings these chilling statistics to life as it chronicles the journey of Maya survivors seeking truth, justice, and community healing, and demonstrates that the Guatemalan army carried out a systematic and intentional genocide against the Maya. The book is based on exhaustive research, including more than 400 testimonies from massacre survivors, interviews with members of the forensic team, human rights leaders, high-ranking military officers, guerrilla combatants, and government officials. Buried Secrets traces truth-telling and political change from isolated Maya villages to national political events, and provides a unique look into the experiences of Maya survivors as they struggle to rebuild their communities and lives. Just what the professor ordered! I have not read this book yet, but after reading the review "ideological scholarship" I plan on it. I have read almost all of the books that reviewer paulsrb uses to support his case that Susanne Jonas has misconstrued the truth, and he misrepresents all of them.Piero Gleijeses gives a compelling argument against Arbenz' involvement in Arana's death, and states on page 84 that Arbenz "would have won even had the elections been copmpletely free." From reading the works of Immerman and Gleijeses, I believe they would agree with Jonas that Guatemala's direction under Arbenz was towards a Nationalist, Capitalist government. They both state in their books that the CIA coup was, at least in part,in the interests of United Fruit, who's president of PR was married to Eisenhower's personal secretary, and on which's Board of Directors had sat the Secretary of State, John Foster Dulles. Dulles' brother, Allen Dulles, Director of the CIA who instituted the coup, worked for a law firm who represented the interests of United Fruit. Susanne Jonas is widely respected as a leading expert on Guatemala. Her book is interesting and informative, but in places it distorts the truth. Although Guatemala was ruled by military or civilian dictators for most of the 20th century, she blames its problems on America. Hence the chapter on the CIA-backed coup against Jacobo Arbenz in 1954. Discussing the elections which brought him to power, she admits that his main opponent, Francisco Arana, had been assassinated and his supporters crushed by armed workers (pp25-6). But she insists that the campaign was honest (p26), even though other academic defenders of Arbenz stress that the vote "could not be genuinely free" because the impoverished majority, denied a secret ballot, would not dare to oppose any candidate backed by the government (Piero Gleijeses, "Shattered Hope: The Guatemalan Revolution and the United States, 1944-1954," p84). Maintaining that Arbenz sought a "modern capitalist economy" (p26), she suppresses the fact that he was a doctrinaire Marxist who became an official Communist Party member in 1957 (Gleijeses, p147). Applauding his confiscatory land reform - the "brainchild" of the Communist Party (ibid., p145) - she does not mention that it was declared unconstitutional by the Supreme Court, which was then purged (ibid., p155). She does accept that Arbenz legalised the Communist Party, which subsequently took control of the unions; that he allowed communists to occupy key government positions; that he relied on the communists as his principal allies; and that he was receiving massive arms shipments from Eastern Europe (pp29, 31). Yet she dismisses fears of a communist takeover as paranoid (p32). The fate of Cuba suggests otherwise. To her credit, the author questions the myth that the coup was induced by the United Fruit Company (UFCO), a fiction which has been demolished by historians (Gleijeses, ibid. ; Richard H. Immerman, "The CIA in Guatemala"). Since the first edition of her book, government documents have been released proving that it was the CIA - not UFCO - which raised concerns about Guatemala, fearing a communist dictatorship in the Western hemisphere (Nicholas Cullather, "Secret History: The CIA's Classified Account of its Operation in Guatemala, 1952-1954," pp24-7). But she should have mentioned that immediately after the coup, the Eisenhower Administration started an antitrust suit which caused UFCO's disintegration (Stephen M. Streeter, "Interpreting the 1954 US Intervention in Guatemala," The History Teacher, November 2000). More impressive are the chapters on military repression, which exploded from the late 1970s to the early 1980s. The author accurately chronicles the army's scorched-earth tactics, which left scores of thousands dead and were clearly a major war crime. But she should have noted that even this outrage pales in comparison with the millions who were being slaughtered at the same time by Marxist regimes in Cambodia, Vietnam, Afghanistan, Ethiopia, Angola and Mozambique. Moreover, she does not even discuss the atrocities of the Marxist guerrillas who butchered thousands of innocent people in Guatemala. Then there is the contemptuous treatment of democratic reforms, mocked as "reactionary pluralism" merely because the socialists had to renounce violence, hardly an unreasonable demand (pp154-5). Examining the parliamentary election of 1984, she admits that it was free of open fraud and military intervention, but dismisses the result (p155). She attacks the constitution of 1985 - which established "standard political rights on paper" - because it failed to ban the civil defence patrols and because it "enshrined private property as an absolute right" (p155). Turning to the presidential election of that year, she accepts that "it was not fraudulent and was procedurally correct," but still questions the outcome, citing the pro-communist Washington Office on Latin America (pp156-7). By use of such evasions, she is able to rationalise the fact that her "popular/revolutionary" forces have yet to win the popular vote. America is portrayed as the fountainhead of evil. The author admits that both the Carter and Reagan Administrations observed an arms embargo throughout the major repression and that the Guatemalan army had "to look elsewhere" for its weapons (p199). But she still tries to blame the murders on Washington, her only evidence being the provision of budgetary bailouts, which began when the massacres were ending (p204-5). Clutching at straws, she berates the Americans for helping the army decades earlier, before lapsing into absurdity by protesting the renewal of aid after the return to democracy (p205-6)! 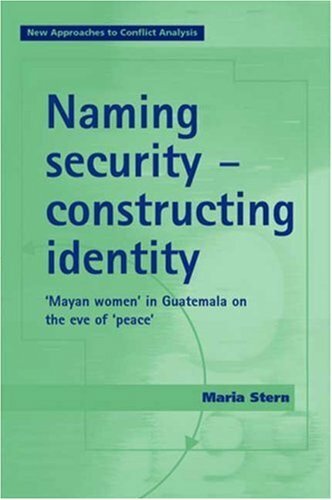 Based on the experiences of Mayan women, Stern critically re-considers the connections between security, subjectivity and identity. 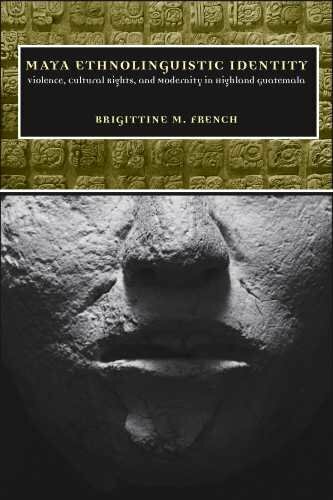 By engaging in a careful reading of how Mayan women "speak" security in relation to the different contexts that inform their lives, she explores the multiplicity of both identity and security, and questions the main story of security imbedded in the modern "paradox of sovereignty." This review is for the Orbis Books (Maryknoll) oversize paperback edition, 1999. It is the English language summary of the four volume REHMI report on human rights atrocities during the four-decade internal conflict in Guatemala between the wealthy oligarchy backed by the army and most everyone else, but particularly the indigenous Mayan Indians. Bishop Juan Gerardi, architect of the REHMI project, presented the REHMI report on April 24, 1998. Two days later he was brutally murdered, which led to an unprecedented prosecution, lasting nine years, of Guatemalan Army officers and a priest who were complicit in his death. As agreed in the Guatemalan Peace Accords of September 1996, a similar study would be created under the auspices of the United Nations. That work, known as the CEH report, was completed in February 1999 with findings similar to the REHMI report. The government forces and their allies were responsible for 90-93% of the atrocities, whereas only 3-5% were attributed to the Guerillas. The four volume REHMI study, available on line in Spanish and French, is a five star report of immense social importance about the atrocities inflicted upon rural Guatemala by the army and their associates. This English language summary, however, is useful only for excerpts from the testimonials and the abbreviated statistical tables, and for lack of criteria on the conduct of the survey, that usefulness is minimal for serious research. 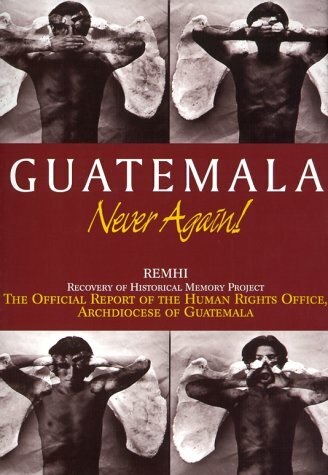 Aside from the testimony and statistics, GUATEMALA, NEVER AGAIN contains 100 pages of "background" that attempt to explain the Guatemalan military and political structure during the conflict. That text is desert dry, convoluted and at times contradictory. For an engaging read about the political/military background, and the murder of Bishop Gerardi, I highly recommend The Art of Political Murder: Who Killed the Bishop?. I highly recommend this book for a number of reasons. If you are just starting to delve into the knowledge about Guatemala's tragic civil war this is the place to start.What this is is an abridged version of the Human Rights report on the atrocities committed by the Guatemalan army.This book is made up of two things: analysis and then personal testimonies from the victims. What it does for you is reveal that these crimes committed against the indigenous population went far beyond simply stated genocide and ethnic cleansing.There was far more to the army's tactics than massacre and physical torture. The crimes against the Mayas were highly psychological and I think that this report reveals that and puts it clearly.This book takes what you might already know about the horror and brings you in deeper.By the time you're done you will have a more clear, more concise, more accurate picture of what was done by the army to not only affect these people but to also keep them in silence about a war that not too many people know about. 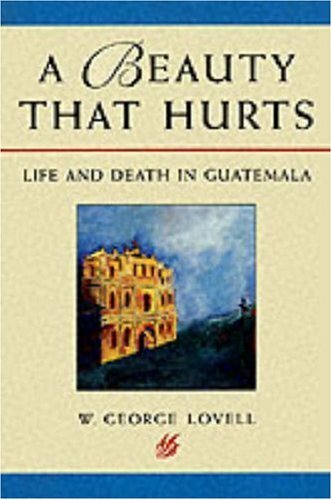 It also shows why Guatemala is still so devastated by this war, and what it's going to take to ensure that this history doesn't repeat itself.It's difficult in some places to read, but I think you need to.As you sit in your comfortable house reading it, I think it will change your perception on life.It did mine anyway. This book is a summarization of a human rights report presented inGuatemala in 1998. 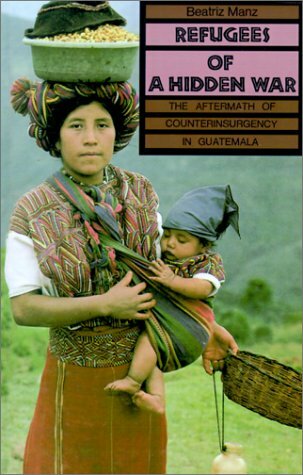 Through eye-witness testimony, it outlines the militaryatrocities committed during Guatemala's Civil War and the effect the warhas had on Guatemala's indigenous population. This edition has beenedited from the original lengthy report but retains important testimony insmaller quotes where relevant and offers the reader stark evidence of themassive violence as well as the psychological warfare that was perpetratedon the citizens of Guatemala. I am stunned not to find numerous reviews of this excellent work, a fleshing out of the author's highly-regarded (within the United Nations and global peace-process circles) "The Mined Road to Peace in Guatemala," (North-South Agenda Paper #38, September 1999.As of today, 3 April 2010, her paper and her book are still the core references for those who seek to extend the model elsewhere in Central and Latin America. Guatemala: Plan Piloto para el Continente (translation of Ph.D. dissertation) (San José,: EDUCA, 1981). This author was at least a decade if not two decades ahead of her peers and the conventional idiocy in Washington, D.C.Everything she has ever thought, particularly with respect to migrating the process of peace toward a process of prosperity, is relevant right this minute.